Today we highlight tremendous business analyst and post-consulting leadership jobs at Airbnb. Airbnb, a California-based private company, to-date has had more than 25M people use its services for stays at locations in more than 34,000 cities and 190 countries worldwide, and has been stirring things up in the hospitality industry for the past few years by empowering every individual to turn his or her home into a bed- or bed-and-breakfast. This has resulted in so much success that it has become hated (or at least envied) by hospitality businesses and local municipal governments both in the U.S. and abroad. Funny enough, the idea for Airbnb came about because the founders had trouble making rent, and in a desperate attempt to solve the problem they decided to throw up a website and market the extra space in their kitchen and living room to conference attendees visiting San Francisco who could find no room elsewhere. It was a profound experience: after a week renting out their space to the 3 people who stayed with them, they realized that they became very close in a very short amount of time. They sought to create this type of connection experience for people everywhere when they traveled, and the idea for the bigger Airbnb was born. Airbnb’s history can be traced back to 2007, when founders Brian Chesky and Joe Gebbia created the initial concept during an Industrial Design Conference in San Francisco, California. The original site offered short-term living quarters, breakfast and a unique business networking opportunity for attendees who were unable to book a hotel in the saturated market. Founded and headquartered out of San Francisco, California, Airbnb is a trusted community marketplace for people to list, discover, and book unique accommodations around the world — online or from a mobile phone. Whether an apartment for a night, a castle for a week, or a villa for a month, Airbnb connects people to unique travel experiences, at any price point, in more than 34,000 cities and 190 countries. And with world-class customer service and a growing community of users, AirBNB is the easiest way for owners (or even renters themselves) to monetize extra space and showcase it to an audience of millions. Led by the 3 outspoken and brilliant visionary founders Brian Chesky, Joe Gebbia, and Nathan Blecharczyk, AirBNB has been changing the way the hospitality does business. AirBNB is on a mission to bring the world together and with its recent OneLessStranger initiative, it is poised to do exactly that. As far as working at Airbnb, workers explain that is an absolutely amazing and fun experience – wouldn’t you want to work for a creative startup company that is both passionate about changing the way society does life and having as much fun as possible while doing it? Airbnb goes to infinity and beyond when it comes to offering benefits to their employees. Okay, that’s an exaggeration, but they don’t just offer traditional benefits that most employers offer, like PTO and stock options. AirBNB takes it to the next level by making traditional benefits some of the most extraordinary in the industry. Expect to be pampered and taken care of by this company because from day 1 your benefits start. We’re talking about the basics like 100% employer paid health, medical, and dental insurance, but also fun stuff like a $2000 dollar per year travel stipend, free meals prepared by an on-site chef, fridges that are stocked with healthy drinks, snack rooms, beer and wine on tap for after hours and company happy hours, two paid weeks off every December/January, and much much more! Airbnb didn’t get to be a company that is leading massive change in the hospitality industry worldwide by sitting around and doing things like the many others that are in their industry. In fact, the only reason the co-founders are where they are now and not bankrupt (they were close!) is because they decided to chase their dream and pursue what many told them was impossible and would not succeed. Instead of being a follower, they chose to be a rebel leader making decisions to engage with and listen to their customers and employees on how to best change the industry. Like Airbnb’s co-founders Brian Chesky, Joe Gebbia, and Nathan Blecharczyk, Airbnb is a company full of game changers, disruptors, and people who don’t play by the rules that society has created for them. Sound like you? That’s exactly the type of people the company wants to bring on board. Airbnb is looking for people who are passionate about what they do and about changing the world for the better while having loads of fun while doing it. With Airbnb, the typical application can be completed in as little as 45 minutes but can take up to an hour and a half if an assessment is required. There is not one sure way that leads your application to being accepted for the interview process. You can apply for a position at Airbnb in many different ways ranging from job fairs, staffing agencies, applying online, or applying in person. We highly recommend you network into the business rather than going in with a cold referral. The hiring process from application to offer is typically very extensive, but it can vary largely depending upon the position that you are applying for. In fact, you can expect the timeline to take anywhere from 2-20+ weeks. After submitting your initial application, with your resume/CV, cover letter, finished assessments and other supporting documents, HR typically will respond to your application within a couple of days. 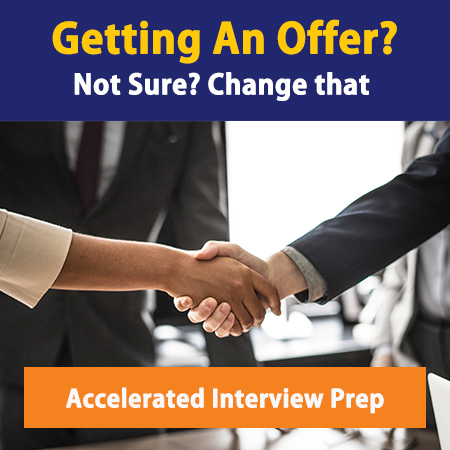 Once you get called for an interview, you can bank on at least 7-15 interviews which typically consist of connecting with the recruiter, hiring manager and associates that you will be working with over multiple phone screens, an offsite interview, a Skype interview and multiple on site interviews. Again, depending on the position for which you have applied the interview process can vary slightly. You need to be prepared when interviewing with Airbnb, because the questions that you will receive are both behavioral, like “Why do you want to work for Airbnb?” or “The host’s dog defecates in the guest’s suitcase on a dress/suit. What do you say?” and experiential (Context, Action, Result) like “Have you ever developed a meaningful or lasting friendship with someone who you met briefly in an informal setting, like riding on the bus etc?”, “What was the biggest risk you’ve ever taken?” and “When was the last time you helped someone?” Focusing on the creative answer, be prepared to tell vivid stories that highlight teamwork, leadership and innovation. In the interview, Airbnb takes it to the next level by getting funky. They are known to ask a lot of tough and interesting personal reflection questions like “Why should I hire you?”, “What would you say at Airbnb’s funeral?”, “What has been your best and worst customer service experience?”, or “What don’t you like about Airbnb?” so be prepared with your hero stories! They might drill down on your experiences and role play with you, so don’t go in without preparation. If Airbnb likes you and feels that you are a great fit, they will do their upmost to find you a position, even if it is not in the original position you applied for. It is all about having the right attitude and willingness to work which will get you hired. Lastly, make sure you know the market value for the position in which you are applying. After you get an offer, even though Airbnb is known to be pretty fixed and rigid with offers, there is room to negotiate if you know what the position is worth. Airbnb has a funky vision, a mission-driven purpose, a clean look, and an impressive culture. Check out key corporate opportunities today by visiting their Careers Page today.As always, network, network, network, and ask the right questions to see if this is the next best fit for you.